Ever since electric razors came onto the scene so many moons ago, there has been a debate over what is better. Should you use an electric razor or a regular? The thing is, each has its pros and its cons. Is one better than the other? Short answer is it depends. The longer answer is the entire basis of this article as it can’t be answered in one sentence. 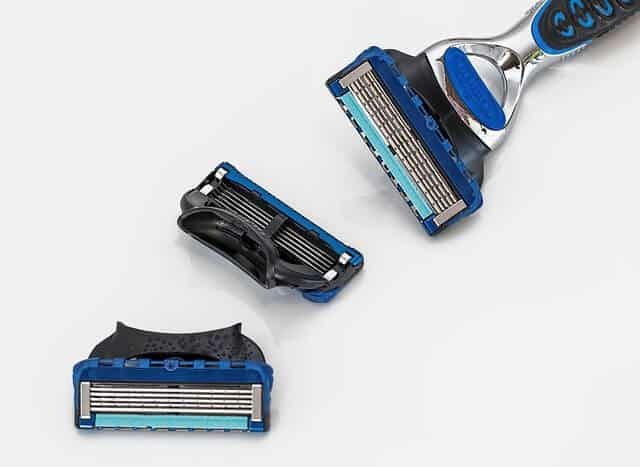 If you’re reading this, then I suspect that you already have had years of experience with regular razors and wonder if it is worth it to switch to an electric shaver. Let’s take a closer look so you can weigh the advantages and disadvantages. Then, if you think that shaving with an electric razor is the right move, read some of our electric shaver reviews. Ok, first off, electric shavers are often called electric razors. I call them this myself. But, the fact is that they aren’t razors. They don’t have razor blades at all. Yes, electric razors have blades, but they aren’t razors, they are more like an electric trimmer that doesn’t have teeth to keep the blades from cutting the skin. 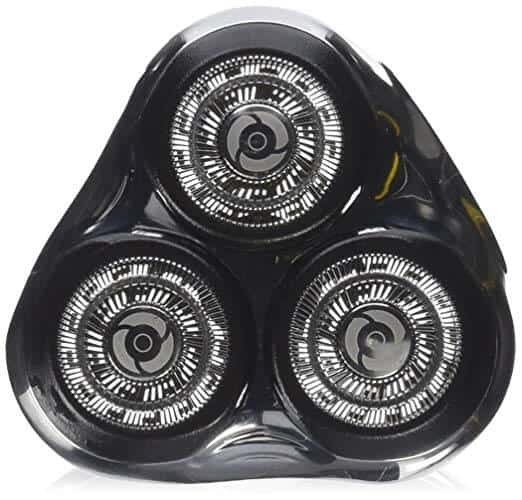 Instead, those blades are covered either by a round metal cover with slits or in the case of a foil electric shaver, a thin layer of metal with holes in it where the hair can enter. If you were to take the blades out of the shaver, and touch them you aren’t likely to get cut. They are sharp enough to cut the hair when they are moving, but sitting still they can’t do much damage. I don’t think i need to explain what would happen if you were to touch an open razor blade with your finger. That is the biggest difference right there. Foil vs Rotary Electric Razor | What’s the Difference? There is quite a difference between the two different kinds. If you have never used an electric shaver before you’ll need to understand those differences so you can get the right one for your needs and comfort level. To go really in depth about this, read some electric shaver reviews and then check out the full article on the foil vs rotary debate. With rotary system shavers, the blades are discs and spin around. They are covered by stainless steel covers with slats to catch the hair. The hair goes through and gets cut by the blades in the disk. Foil, on the other hand, has a thin membrane of metal over oscillating blades. They rock back and forth quickly and cut the hair as it enters the holes in the foil. Since the rotary system rotates, you need to go in a circular direction when shaving. A foil electric shaver, on the other hand, should be used just straight up and down on the face. Or side to side if you hold the razor perpendicular to the floor. But the point is that it can be done in circular motions and it can only go in two directions. This is more of a generalization as rotary razors have come a long way, but foil razors are easier on the skin. In most cases this is true, but there are plenty of rotary razors that don’t give you razor burn. Since the rotary razors have to be used in a circular direction, you do tend to go over the same spot multiple times and that can also lead to some irritation. I always recommend going with a foil razor if you have sensitive skin. If you do have sensitive skin then you need to read some electric shaver reviews made just for guys with sensitive skin. Assuming that you don’t have sensitive skin and can do a dry shave with electric shavers, there is nothing faster to shave your stubble. You don’t need to use any shaving cream, gel or oil unless you want to. This means you can grab your razor, turn it on and in a few short minutes you’re on your way. I’ve even seen people shaving with electric shavers while driving! Not that I recommend that, but you get the idea of how you can multitask while shaving. For guys that usually get ingrown hairs, I always recommend that they shave with an electric razor. Though some guys end up with some razor burn from going electric, those same guys that get ingrown hairs love the fact that they pretty much never have to deal with that again. The reason is how the hair is cut. The downside is that it usually means you don’t get quite as close a shave as you do with razors. The beauty of modern electric shavers is that they can be used with shaving cream or gel if you like. You can even do the full wet shave routine and use a shaving brush and soap if you really wanted. If you want to multitask, you can even shave in the shower. You have a lot of versatility compared to using a regular razor. Yes, electric shavers can be expensive. But after the initial outlay of cash, you don’t really need to spend much money after that. You may need to replace the shaving head every year or so if it starts to get dull. But, with care you can extend that. When you use a cartridge razor system you are spending quite a bit of money every month for pretty much the rest of your life. That really adds up to way more than what you spend on an electric razor even when you factor in the cost of replacing the shaving head. Though these days electric shavers get way closer than they ever did before, they still don’t get as close as a cartridge razor. And a cartridge doesn’t get nearly as close as a straight edge or safety razor. You’ll be shaving with an electric razor much more often so you have to keep that in mind. Also, you don’t get the exfoliation factor from an electric as you do with a regular razor. With a straight edge, you get below the top layer of skin and expose newer skin underneath for a very smooth feeling. For some reason, your skin just is probably not going to like your electric razor at first. If you’re patient, eventually your face will get used to it and it won’t be uncomfortable. For the first few shaves expect some razor burn or irritated skin. As your skin adapts, then it gets very smooth and comfortable. I mentioned already that shaving with an electric can be economical over the long term. But, it is very expensive in the short term. You need to have at least $100 for a cheap one. I think you should spend even more than that to get a top of the line one like the Braun Series 9 that will last you for many, many years and is worth every penny. I want to reiterate how you do save money over the long term and eventually, your razor will pay for itself since you won’t be buying any more cartridge razors. I am sure you are quite familiar with shaving with a regular razor. But, I also think you probably don’t give it much thought. So, let’s go over exactly what shaving with a razor entails so we can compare it more closely to shaving with an electric shaver. Let’s die into the electric shaver vs razor debate! 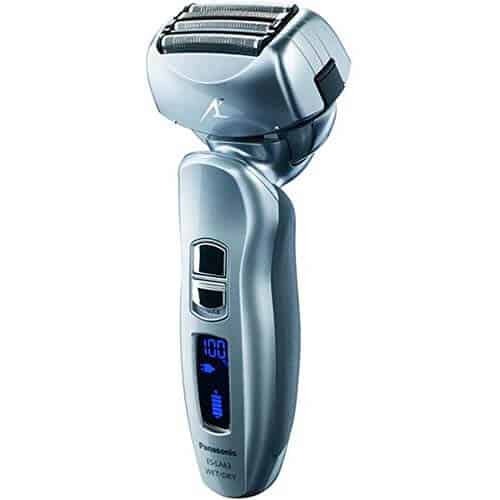 If you are using a cartridge razor like a Gillette Fusion or Schick Hydro, then you are already getting a closer shave than you can get with an electric. Not to say you get a more comfortable shave, just that you get down right at skin level and don’t have to shave as often. Now, if you are shaving with a straight edge or safety razor and doing a traditional wet shave, you beat both electric and cartridge razors by a mile. Though you end up spending way more on regular razors than you do buying even an expensive electric razor, it costs hardly any money to get started. That’s how they get you! For less than $20 you can buy a razor handle with 2 cartridges that will last you a few weeks. If you go for a straight edge that isn’t a shavette, or for a safety razor, you can spend quite a bit of money. Badger hair brushes for wet shaves plus the razors themselves can really add up. So, this really only applies to cartridge razors. This really only applies to cartridge razors and canned shaving cream. Since wet shaves take practice and there is a steep learning curve with learning how to do straight shaves, we’ll only consider regular razors for this pro. After you get out of the shower, your stubble is nice and wet so all you have to do is throw on some shaving cream and get to work. In 5 minutes you’re done. Splash on some nice smelling aftershave and that’s it. Electric razors are also fast to use, and in many cases probably quicker than shaving with a regular razor, however. If you opt to wet shave over using an electric, it is going to take you probably three times as long. Prepping the face with the shaving brush and then shaving very slowly can take a minimum of 15 minutes. If you are doing multiple passes, then add another 5 to 10. That’s quite a long time. When shaving with a regular cartridge razor, many guys experience razor burn or get some irritation of the skin. I personally have never gotten razor burn from a 5 or 6 blade razor, but many guys say they can’t use them. Oddly, I end up with pretty harsh razor burn when I use a 2 or 3 blade system, though. So, your mileage may vary depending on which type of razor you use. If you are experiencing any razor burn with your current system, then this would be a great reason to make the switch to electric. When using a regular razor, getting ingrown hairs is fairly common for a lot of guys. It’s just the nature of how cartridge razors work that you can end up with a hair that grows under the skin and then gets infected. And once you get them they are so hard to get rid of unless you start using a different razor. I don’t include straight razors or safety razors in this category, however. It is very rare to get ingrown hairs from a straight edge blade. In fact, it is a good way to stop getting them by switching to straight edge from cartridge. Yes, the razors are cheap to get started with. But, over the years you end up spending hundreds of dollars on the refills. You’re really locked into spending money hand over fist with this kind of set up. Again, I don’t put wet shaving with a safety razor or straight razor to this as they are cheap once you get your initial set up which is when things are expensive for that type of shaving. Refills of cartridge razors are filling up landfills like crazy since so many guys use them. They are disposable making them easy to use, but using an electric razor can keep billions of cartridges out of the environment potentially. Here we are in the final stretch about electric shaver vs razors. Making the switch from a regular razor to electric is not easy. But, if you give it the time it is worth it. No more ingrown hairs, no more feeling guilty about how non eco friendly it is, no more expensive refills. But it is a process. In fact, I would not get rid of your regular razor for a while after you’ve bought your electric. After you’ve read all the electric shaver reviews and found one you like, then go for it, but keep in mind you might not love it right away when you first start using it. You may find yourself needing to hit some spots with the razor after using the electric. This is especially true if you have a tough beard or hair that grows in multiple directions. If that is the case, you probably have hairs that lie flat against the skin that the razor has a hard time with. That’s when you’ll need to hit it with the razor instead of trying over and over again with the electric razor. This is how you do get razor burn from an electric. When you have to keep going over the same spot. Is it worth it to switch to electric razors? I can’t really say if you should or shouldn’t. I am a safety razor shaver and love it. Yes, it takes a while but to me is worth it. I am not against electric shavers at all. I just think there is a certain type of person who loves them and the only way to find out if you are one, is to give it a shot with one. If you have read this far, then I assume that you are tired of using a cartridge razor and for you, the electric shaver vs razor debate has pretty much been settled. Do you have any questions about electric razors or want some electric shaver reviews recommendations? Drop a line below and I will get back to you ASAP!